Do you have a Pets at Home VIP card? Did you know you can nominate Canterbury Cats Protection as your charity of choice on your Pets at Home VIP card? If you do register Canterbury Cats Protection as your charity of choice on your Pets at Home VIP card you could be raising VIP lifelines for us every time you swipe your card. VIP lifelines enable us to purchase vital supplies and items for the cats in our care. 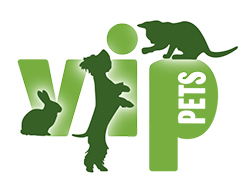 VIP Club members receive exclusive discounts, money-off vouchers from Pets at Home and a free quarterly VIP magazine. Every time you use your card when shopping with Pets at Home online or in a store, you’ll earn points for Cats Protection which will convert into vouchers for us to spend. So far, members of the Pets at Home VIP club have raised over £235,000 for Cats Protection which is fantastic! To become a VIP member and start earning Lifelines points for Cats Protection, go to: http://www.petsathome.com/shop/en/pets/vip.